By Lyns on February 13th, 2009 . Filed under: Cupcake Ideas . These wrappers are gorgeous for DIY cupcakers. 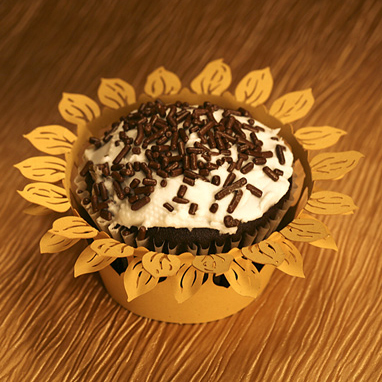 We even carry the chocolate coated, candy sunflower seeds to make the centre of your flower! I would have liked to see a brown liner on this cupcake but alas … I digress. These are really great! Would love brown but these are good. Where can I purchase the sunflower wrappers/liners on this page? ?